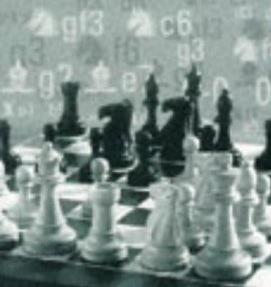 Bobby Fischer's Deadly System: The KIA! Chess openings that are based on particular formations (such as the London System and Colle) are often viewed as less sharp, leading to a level game that makes it harder for White to win. But there is one system that blows that idea out of the water. The King's Indian Attack is reached by playing 1.e4 followed by d3, Nd2, Ngf3, g3, Bg2, and 0-0. Doesn't look much? Well, it was the favorite attacking weapon of none other than Bobby Fischer for practically his entire career! And seeing as Bobby Fischer loved openings that gave him the best chance of playing for a win, it's worth checking out. Check my new lecture to learn how to employ Bobby Fischer's pet line to maximum effect! • How to develop your pieces rapidly - including a weird-looking bishop move - that stifles your opponent and enables you to launch a deadly attack! • Castling and fianchettoing kingside means you must play on the queenside, right? Wrong! Learn how Bobby Fischer used this solid setup as a springboard for a crushing kingside onslaught! • Long-term pressure. So your rival has managed to exchange queens? Doesn't matter. See how Bobby Fischer places his pieces and pressures his opponents' weak points to squeeze them off the board! • Incredible sacrifices! Queens, bishops, knights. Anything goes in the ultimate pursuit of mating the king! Pick up these fantastic tactical ideas you can use in many similar positions! If you want a new opening full of positional and attacking promise, one you can play against nearly any Black response, make sure you join my lectures at http://tigerlilov.com/free-lectures!